The K+ team can integrate your heating and air conditioning with a home control system so you can adjust settings from anywhere. Forgot to turn down the heat before you left for vacation? Adjust it from your smart phone. Talk about convenience and cost savings. Smart. Whole Home Climate Control products enhance home automation and building control systems, providing the ultimate benefits in energy conservation and cost savings. 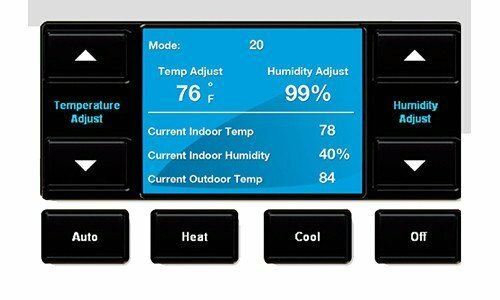 Conveniently control and monitor the HVAC from keypads and touchpanels as part of a complete environmental control solution. Now you can get lighting, shade and climate control solutions work harmony to provide comfort, convenience and savings. Our sophisticated thermostats and a variety of occupancy and light sensors allow ultra-efficient and automated temperature management and monitoring, promote daylight harvesting, lower utility costs and keep your home or building at its greenest. Need Help With Climate Control? We Know How, And Are Here To Help!